Fives’ Plants of the Future Observatory: Bel sees the factory of the future as "frugal"
L’Observatoire Fives des usines du futur, le laboratoire d’idées sur l’avenir de l’industrie lancé par Fives en 2012, poursuit son activité, avec un « Matin de l’Observatoire », organisé le 4 novembre. Karine Gosse appointed Digital Development Director / Industry of the future at Fives. 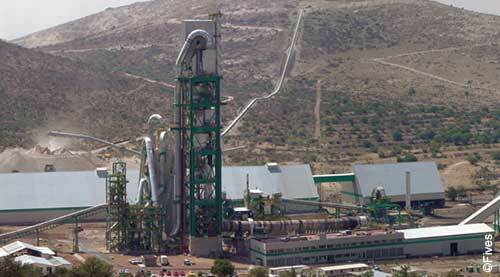 Cementos Fortaleza SA de CV has awarded Fives with an EPC (turnkey) contract for the supply of a new complete 3,300 tpd production line to be installed in its existing Tula cement plant (State of Hidalgo, Mexico). In 2015, Fives signed new contracts to design and supply four new reheating furnaces. The Group will supply two reheating furnaces for the Steel Authority of India (SAIL) Rourkela Steel Plant, and two others for another major Indian steelmaker in the western coast.